This morning I want to talk about the Uzi 9mm carbine made by Vector Arms. Vector is a company that makes a lot of clone guns, H&K’s and Uzi’s, ak’s and a few other goodies. I always hear good things about them and from the one tech phone call I made to them in the beginning their customer service was excellent and their smith was right on the $$. So I got this UZI 9mm, sadly with the solid stock as here in MI the folder is illegal and doesn’t make the states length laws. Yeah thanks a lot Michigan, way to keep the criminals at bay with that one 🙁 I feel so much safer now that you made my cool Uzi look stupid with a solid stock. Most all of you will be able to buy a cool one with the folder stock. The one we are accustomed to seeing in movies and what have you. They are available for about 800$ on up and I bought this thing used off a local gun shop for 500$ and tax. If your thinking about an Uzi then I probably don’t need to go thru the tech specs with you, safe to say this is a WELL proven weapon in many conflicts all over this earth since its inception. It’s solid and heavy duty. Mine has been immune to dirt and crud of any kind. Magazines can just about be run over by a tank too, very heavy duty 32’s and 25’s . I stick with IMI magazines which are readily available. So initial shooting was a total disaster. I couldn’t get 10 rounds out without a jam. I figured this was why the guy who sold it to the shop sold it so cheap, he knew it didn’t work, his loss. The thing failed to eject over and over, so having fixed things myself in the past I removed the bolt and started looking. Most often you’d expect a weak or damaged extractor or ejector, not damaged. So next idea was the extractor was letting go to soon because it didn’t have enough tension on the casing rim, NOPE! So I called Vector and the guy was cool, I described problem and he said how much curve in the extractor?? I said a lot it’s got a ton of tension, he said pull it out and pound it flat and put it back and call me after you fire. BINGO!! Too much tension! Who’d have thought it? 🙂 I think I would have figured that out but he sure saved me a lot of time, frustration and the invention of new, harsher curse words. So thanks to him. Since then I have fired pushing 2000 rounds in this girl without a single hiccup of any kind. Its a great little rifle. Now I’ve had this Vector Uzi for a number of years, it was my “property rifle” until I bought my beloved FN PS90. What I mean by property gun it was sighted in and set up for defense of my house and land. I had the sights set for the longest shot I’d ever have to make between my barns and the front porch of the house. If you have read past reviews of mine you know that I get off on holosights and high powered weapon lights too. I can live without a holosight if I have too but the light is in my opinion second only to a clean, quality weapon I have trained with. Now the UZI being an old design was long before we felt compelled to bolt everything but the kitchen sink to our guns. So I made my own mounts for a red dot and light. It saved a ton of $$ too as aftermarket stuff like that is way to expensive for an UZI. Just Buy 2 short sections of rail about 4 inches long. Get out your drill and dremel tool. For a light mount grind off the front hand-guard serrations on the right side so the rail will fit flat. The eyeball your rail on strait and drill 2 holes and simply bolt the rail to the right side of front hand-guard and reinstall grip. Simple as that. Mount your light and run a pressure switch to the left side for your support hand thumb. Done. The top cover pops right off, so for mounting a red dot simply take your section or rail and eyeball it on strait. Drill your holes and bolt on. This is slightly trickier, you will HAVE to use recessed nuts inside the cover. 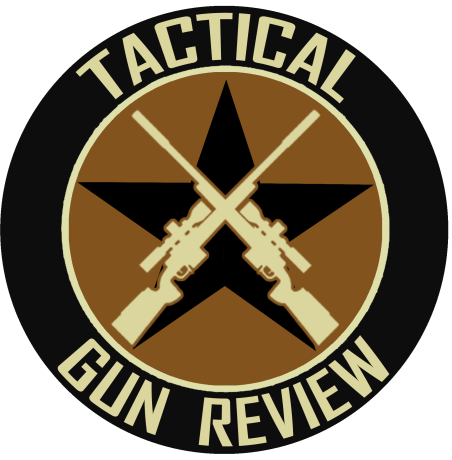 So they are inside the action, they need to be recessed to insure the bolt carrier group will move freely. 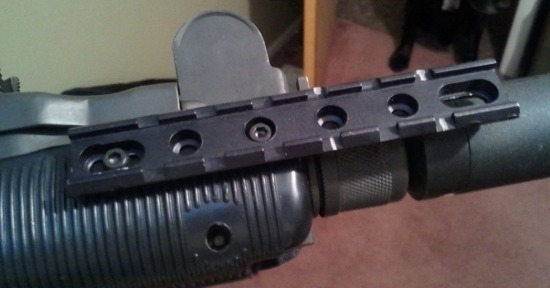 Also you will HAVE to use about an inch worth of plastic spacers to hold the rail ABOVE the top-cover as the charging handle is on top and obviously it has to have room to be charged. So that only takes a minute to figure out where to drill your holes to allow the weapon to be charged. Now loctite and torque the hell out of those nuts and bolts as they have a tendency to loosen. This homemade mount has been more than adequate and has held a zero for many, many rounds. Done. Now go shoot her, mine is sighted in for about 70 yards. Go ahead an rapid fire as fast as you can a good 6-8 inch group center mass in your target at 60-70 yards, now try to do the same thing with your handgun, good luck. You’ll see the value of one of these babies. So there you have it, a battle proven design brought up a bit with the addition of a red dot sight and weapon light. It has been a totally reliable rifle, I really do like it. She’s retired now since the PS90 came into my life but I will probably always have her as UZI’s are just plain cool. Maybe one day I will live in a place where I can put on a folder stock, obviously anarchy will reign and there would be blood flowing in the streets here in MI if I did such a terrible thing 🙁 Thank God for politicians protecting us from ourselves. To wrap this up if your looking for a fun semi-auto carbine look no further and it shoots inexpensive 9mm! If your looking for a serious defensive tool, for well under 1000$ you have found a good one. Don’t hesitate you’ll like her. Buying one today with both solid and folding stock. Just wasn’t familiar with Vector Arms so your article was a great deal of help. Much appreciated! !